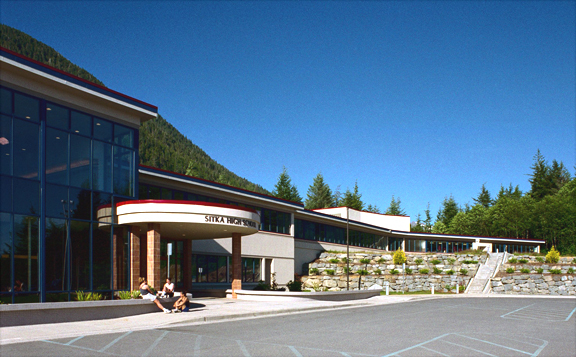 This comprehensive renovation to the existing 100,000 square-foot Sitka High School rebuilt virtually all portions of the school. 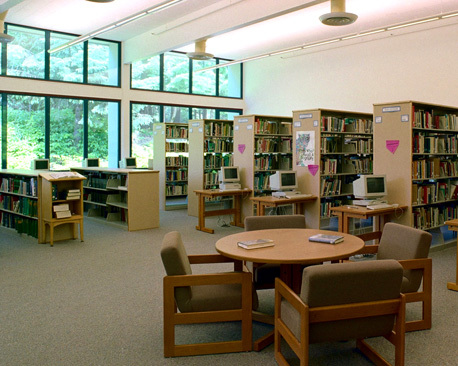 The largest problem with the previous configuration was a confusing layout with multiple entries, and no sense of entry or community for the school. Given this, the plan of the school was substantially altered to create a new central commons and inviting entry on the south side of the school, replacing old multiple entries on the north, and re-purposing underutilized spaces. 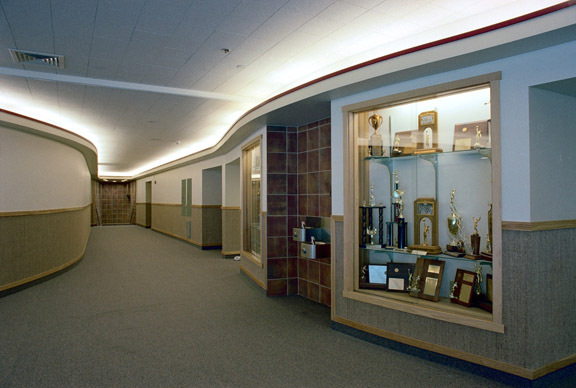 The renovation also included asbestos abatement, new classroom finishes and modifications, new lighting throughout, a new science wing, a new mechanical ventilation system, exterior finish upgrades, and roof upgrades. 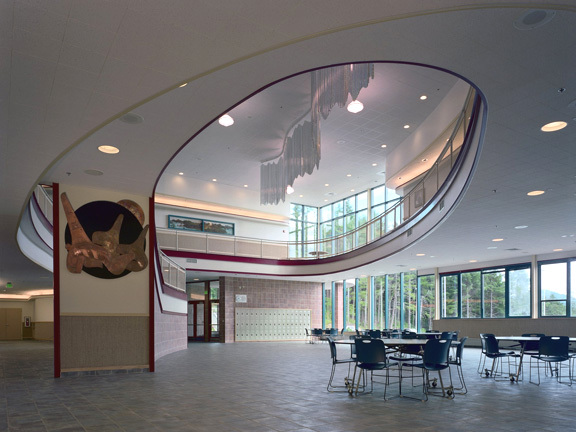 MRV Architects received an Award of Merit for this project from the Alaska Chapter of CEFPI, an organization of school facility managers and planners.